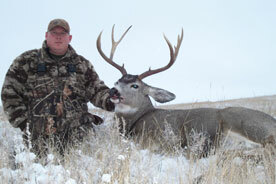 JB Outfitters has been serving as the premier outfitting and hunting guide in northwestern South Dakota for over 20 years. 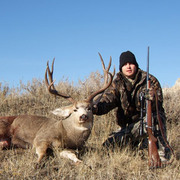 With over 15,000 acres of privately owned property available with no public access allowed within these borders, the Wammen Ranch offers fully outfitted rifle and archery hunts for whitetail, mule deer, and pronghorn antelope, as well as upland bird hunting for pheasant, sharptail grouse, Hungarian partridge and chukar. 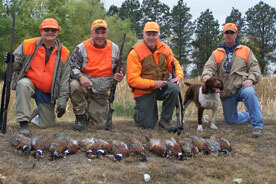 From newcomers to professionals, this 5th generation family ranch covers all aspects of world class hunting. 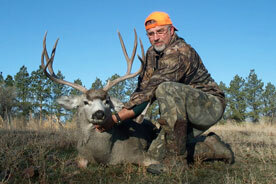 If you're looking for trophy hunting in South Dakota, you've come to the right place. 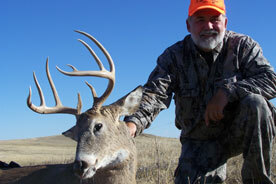 We offer big game trophy and upland game hunts on our 15,000 acre private property bordering the Slim Buttes National Forest in South Dakota. 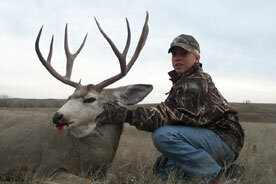 Our hunts include Whitetail Deer, Mule Deer, Antelope, and a number of Upland Birds. Click below for more information on rates and packages. 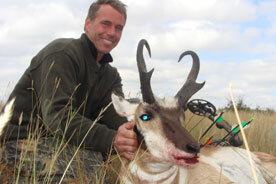 Our deer hunts are all fair chase at the Wammen Ranch…meaning there are no high fences. 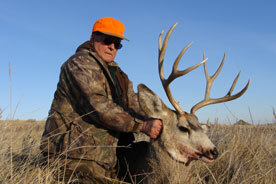 With over 15,000 acres of primetime rifle and archery hunting property available, our professional and selective hunting strategies allow us to consistently take some of the largest whitetail and mule deer in the area every year. 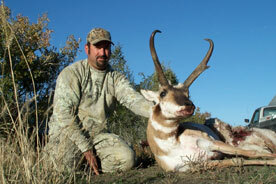 As with our deer hunts, our pronghorn antelope hunts are fair chase. 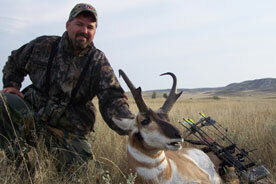 Taking an antelope with either a rifle or a bow is something every big game enthusiast should experience. The unique behavior mechanisms and challenging terrain in which pronghorn reside proves to be demanding, yet extremely rewarding. 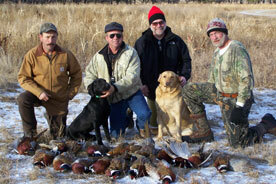 Our skilled guides and hunting dogs will ensure some of the best upland bird hunting in the area. Pheasant, sharptail grouse, chukar and Hungarian partridge inhabit on our preseve, presenting a diverse and exciting hunting experience. Our hunting season begins in September and runs through March. 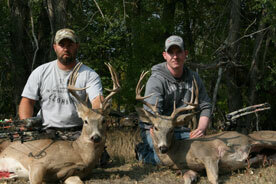 Why Choose JB Outfitters as Your Hunting Guide? 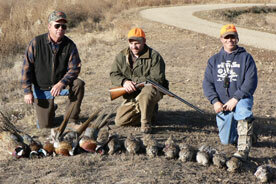 Every aspect of big game hunting terrain is available at the Wammen Ranch in Reva, South Dakota. Pine forests, hills, draws, meadows, hay fields and rolling prairies will challenge the most seasoned hunter. 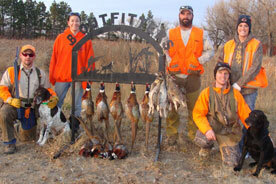 JB Outfitters, a 5th generation family business, has been a South Dakota hunting outfitter for over 20 years. High success rates of trophy animals, private land, and sensible management is what makes our success with new and return hunters. 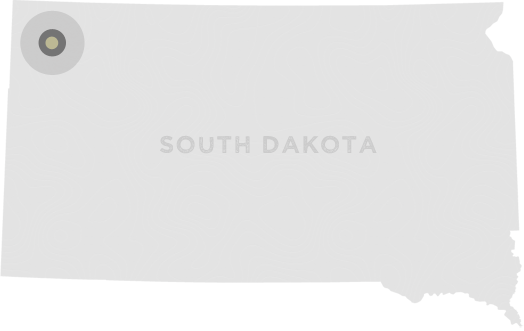 Bordering the Slim Buttes National Forest in the northwest region of South Dakota, we have over 15,000 acres of privately owned property where we offer fully outfitted rifle and archery hunts. With our ranch at the center of "Sportsman's Paradise," a once-in-a-lifetime hunting experience awaits you. Call us toll-free at 1 (888) 693-5130. We claim bragging rights on having never sent home a disgruntled guest and a 100% kill rate. 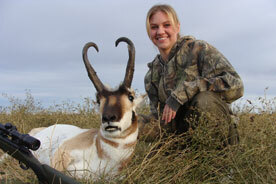 Our main concern is to provide a safe quality hunt with the best opportunities for trophy class animals. "Thank you for the friendship, generosity, and wonderful hospitality that you shared with us on our trip. Our stay here was enjoyable and the hunting was challenging. I will be looking forward to returning to this beautiful spot in South Dakota."